Last weekend, a little bit due to guilt from having been away all week and a little bit of a reward because the children had been so good, Daddy disappeared to a well known Toy shop and purchased a copy of a game that the Children had been obsessing over, since November 22nd when some of their favourite US gamers on Youtube had been uploading videos of them playing the game. The game of course was Super Mario 3D World, and whilst I love my children I was not getting drawn into playing this game because I get so frustrated when I die and the children are just easily jumping their characters around and killing all the baddies with super ground pounds (PUSH THE BUTTON MUMMY!) and jumping into water pipes. Daddy played with them for a while over the weekend and I only had to threaten the three of them with me turning the Wii U off twice, which in our house is some kind of super record for being nice to each other whilst playing a multi-gamer platform game. (It's a bit like, so I've been told, playing an entire game of Monopoly on Christmas Day with your family and not one of you storming off in a strop or nobody purposely flipping the board over in anger/frustration!). "Daddy is better than you at playing Mario. 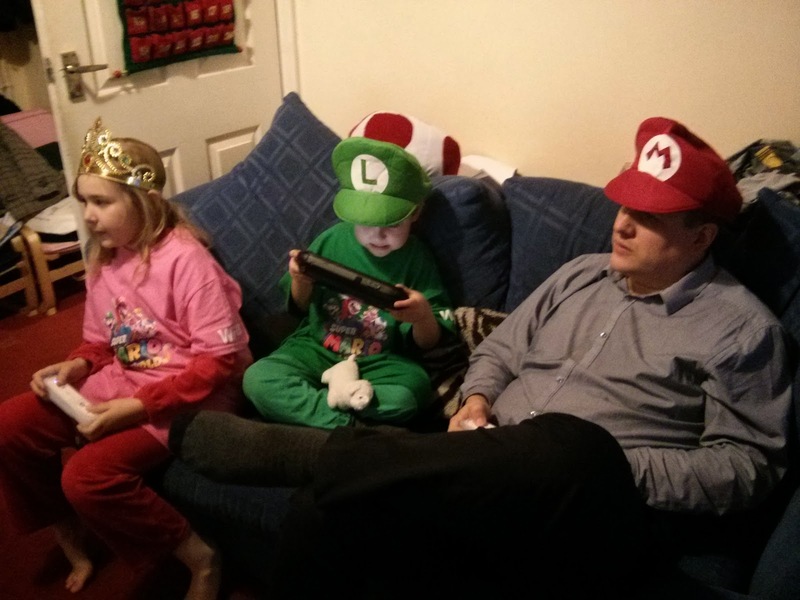 You're better at blogging though"
And then today a delivery came and this is why before Daddy has had a chance to do anything other than take off his shoes, he is back sitting on the sofa playing Super Mario 3D World with the children looking like this. I do know that the game is fantastic, despite the arguments about people accidentally killing people and pressing the wrong buttons, it's been nothing but positive reviews from the family and if Big Boy at 5 can play the game on his own quite successfully, it's most certainly a game for the whole family. 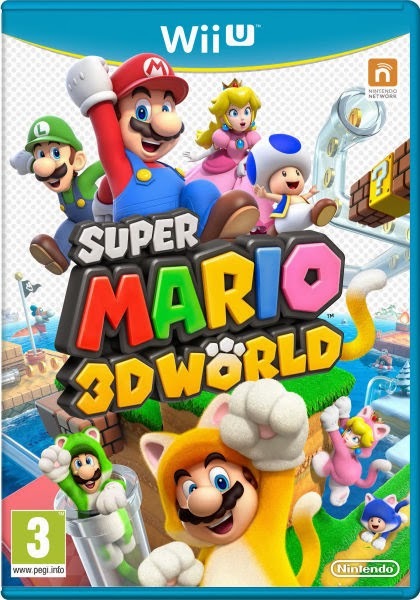 Daddy has mentioned a couple of times that several of the gamer sites that he reads on RSS have said that this is a must have game for the Wii U and I think that we agree. We were sent the game (I know we already have a copy!) and some rather fetching hats and T-shirts.